While the future of technology is exciting enough to motivate us to buy “the next big thing”, it’s also important to temper the hype with some practical, thoughtful, and intentional consideration. Arguably, out of all the current hype, the Internet of Things has generated a lot of it. I often answer family, friends’, and clients’ questions about buying connected toys and devices for their kids and most of them already know better, asking just to reinforce their own, good instincts. It’s tempting to buy gadgets, especially if we feel it’s important to “keep up” with technology as a fashion statement. Many laugh at this but it’s surprisingly effective in convincing us to buy things we may not really need and maybe don’t understand the implications of. Generally speaking, when someone says ‘IoT’ they’re talking about the consumer side of that coin, not the industrial side (or IIoT) where there is value more in balance with the risks. For the context of this post, let’s talk about the consumer side of IoT. Parents with varying degrees of technology fluency will continue to buy connected devices for their kids willy-nilly without doing some research. If they do, they can read for themselves about the risks of giving Internet-connected devices to children in countless stories by the NYTs, BoingBoing, and many others. Not all parents want to know or accept the risks, though, and will ignore the warnings. That’s a choice. Meanwhile, governments of entire countries have banned these types of devices for children and the experts continue to write extensively about how such devices are being used in domestic partnerships to terrorize women. about IoT-powered botnets here, the perils of “smart jewelry” there, how millions of unsuspecting and uninformed people are adding millions of unsecured devices into the wild, and how this makes things unpredictable at best. Even the wearable tech we choose to wear on our wrists is sharing deeply personal information that is being used without our consent. Now, for those who are neck-deep in the field of technology, there may be some practical way for them to deploy these devices into their lives with some good practices that minimize the risks. Generally speaking, though, most parents giving these devices to their kids have little if any real understanding of technology and what the consequences are. The popularity of FitBits, Apple Watches, and similar devices surprises me. 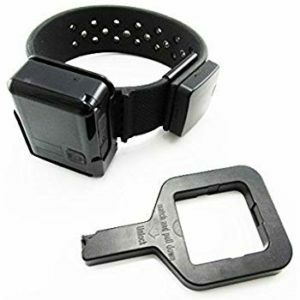 Prisoners wear these kinds of devices while under house arrest. Why would we willingly want to wear one to unwillingly share a total, constant, never-ending stream of personal information with who knows who, who in turn sells that stream of information to who knows who, which includes much more personal information than blog posts, such as location, health statistics, sleeping patterns, habits, and so much more – all without our consent? Is it astounding that these devices are popular with anyone at all, especially those who say they value their privacy? Do we no longer care or prefer to choose what we share? The truth is: using the technology we already have (mobile phones, laptops, tablets, etc) in safe and secure ways is still a challenge for a vast majority of us. While we like to think we’re ready for every next-new-thing, ready to buy this or that, the truth is adding devices that provide even deeper penetration into our habits, preferences and personal information (wearables, smart home devices, etc) isn’t a great idea because the information we unwillingly share will be used in ways we likely hadn’t considered, such as tracking us to monitor how often we speed (to raise our car insurance premiums) or letting health insurance companies know how sedentary we are (to raise our health insurance premiums and change product offerings), and worse violations of our privacy by taking advantage of manipulative apps and opt-in services that are intentionally misleading to consumers by design. This has only just begun to shape modern policies so most people are unaware of it. However, in the coming months and years ahead it will be a shock as news disseminates into the mainstream. Taking advantage of people this way is easy. Most of us are distracted by technology to epidemic proportions and buy devices we don’t take time to understand. While these new technologies always enter our lives with the promise of adding value, giving us time back to spend being present for things that really matter, the data shows the consumer side of IoT has little value to add outside of a convenience here and there rather than solving our presence problems, meeting a real need, or offering much of anything that’s practical. Not yet, anyway. We rarely ask ourselves, “Why do I need this?” The more uninformed people are, the less they consider the privacy perspective or why that matters. Connected devices exist and continue to grow in numbers, from televisions to toasters to refrigerators, cars, houses and more. Most of us in the technology industry don’t think of this as IoT as much as just the internet, as it is, growing and assimilating everything. So, with that in mind, what’s good about it? What devices have practical value through solving a genuine need and not just less valuable layers of convenience? 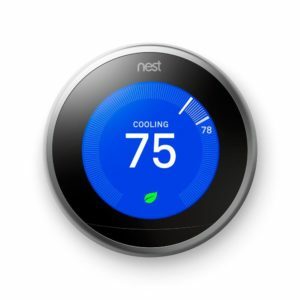 Nest has practical value, especially when used responsibly. Nest is cool. I like saving energy without having to do anything. This is one area where so-called smart devices are worthwhile in the consumer space. It detects the weather and adjusts the temperature based on some basic configurations. I like monthly reports on what I’m spending on heating and cooling, based on the time of year. I like the utility of it, that I can throw small, unobtrusive cameras up that keeps a record of uninvited people coming and going around the house. I’m not sold on making my home full-on “smart”, yet, though, and the limited smart devices that exist are present on their own network, separate from the network the kids use for their activities, which is also separate from the network my wife and I use for our work. Network segmentation is essential with any IoT devices present on a home or business network, a strategy that’s essential for any device, app, or service using any STUN-like technology (which most “smart-home” products use) in order to keep others’ from easily prying into places they’re not welcome. My pals who praise the presence of voice-recognition appliances in their homes to make them “smart”, like Alexa and Google Home, still cannot convince me these devices solve genuine needs. I’m not so lazy that I can’t open the app on my phone to re-order something from Amazon. I don’t need to talk to a listening device to do that. These listening devices don’t strike me as practical on any level that makes any sense, especially being aware that the companies who manufacture them are getting a way better deal, listening into the lives and habits of those willing to voluntarily put these sanctioned surveillance devices in their homes to track their habits, tastes, and lives. There’s already enough proof for concern and this isn’t the last we will hear of this. Not even close.